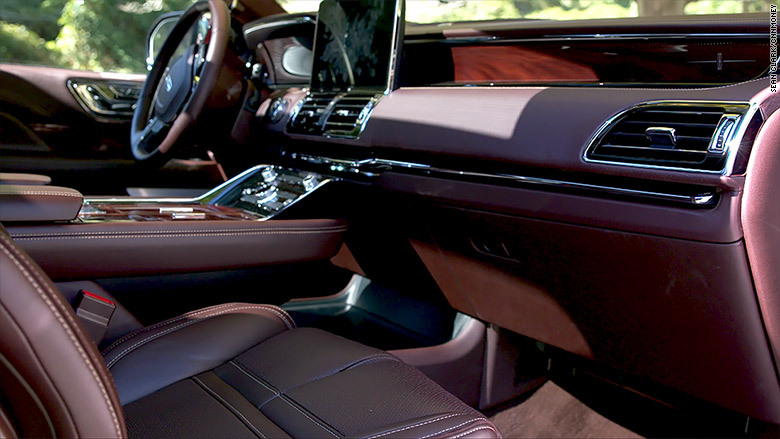 Nothing oozes opulence like a full-sized luxury SUV. Tall, splashed with chrome and lights, they're like floats in a conspicuous consumption parade. 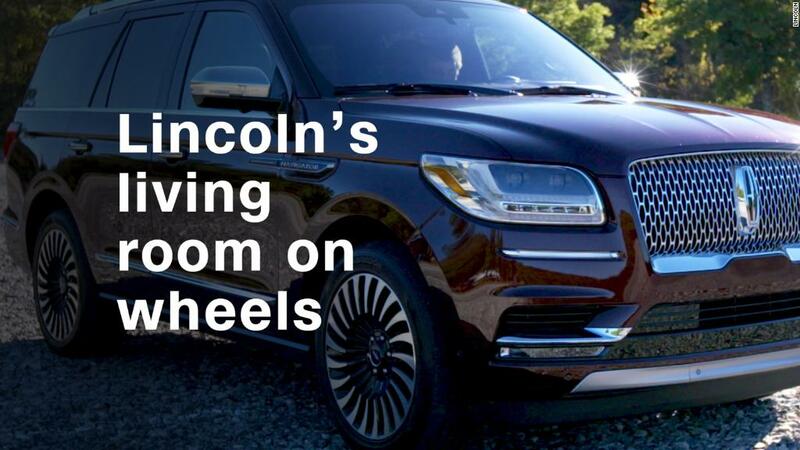 One of the best-known of these vehicles is the Lincoln Navigator. Introduced almost 20 years ago, Ford likes to claim it was the "first full-sized luxury SUV." That's a dubious claim, at best, but there's no question the Navigator made a tsunami-sized splash back then. It turned "luxury SUV" from an oxymoron to a must-have for any automaker. Now, for the first time ever, the Navigator has been completely redesigned. Every other Navigator from 1997 until now has shared a large part of its engineering from prior models. This new one has been re-engineered with new mostly aluminum construction that cut its weight by 200 pounds. The Lincoln Navigator is the brand's best-known product. In the process, the Navigator has become a new best-in-class. It looks better and drives better than anything else like it. True, great big luxury SUVs aren't as popular they once were. But there are still those who, whatever their reasons, want to ride high in maximum glitz. These things are not cheap. The new Navigator starts at about $72,000, or about the same as a Cadillac Escalade. But the version I drove was the Black Label edition with extra leather on the interior, a high-end stereo, automatic power side steps -- they lower when a door is open and retract for driving -- and other features. All of this sent the price up to very nearly $100,000. That may sound nutty to some but, again, it's about the same as Cadillac Escalade Platinum edition. There's no getting around the fact that this is, after all, a very large, tall SUV. It doesn't drive like a sedan. But, given its size, it glides across town or down the interstate with enormous comfort and control. It even has different driving modes that change the Navigators' behavior on the road -- without ever making it feel like it's trying to be something it's not. While excitement might be too strong a term for the performance-oriented "Excite" mode, it did acquit itself nicely on swooping mountain roads. The SUV's 450-horsepower turbocharged V6 never struggled with even the steepest hill. The interior looks like a well-appointed office. The interior has a very nice "mid-century modern" sort of look, with lots of horizontal lines and an appealing frankness about the fact that it is, in fact, a truck. Controls are straightforward. I particularly like the switchboard-style gear selectors that reminded me of something on a high-end 1960s stereo. The very comfortable seats, likewise, would not look out of place as office chairs in an episode of Mad Men. 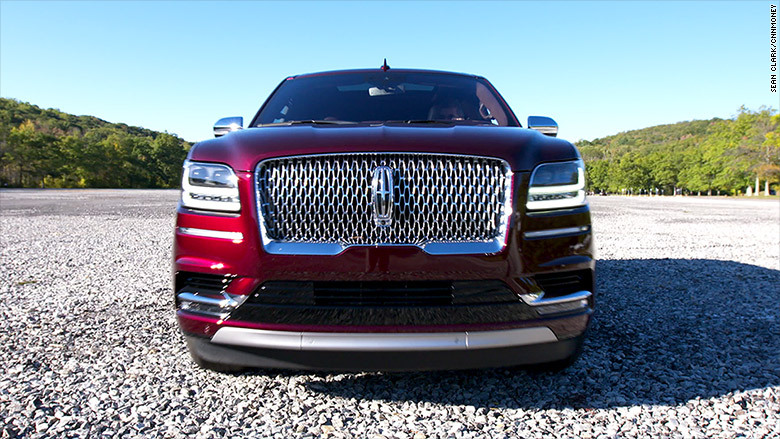 Most importantly for Lincoln, and its parent company, Ford (F), the new Navigator is a successful remake for what is, unquestionably, the brand's most recognizable product. Given that you can see it from two blocks away, that's good advertising.